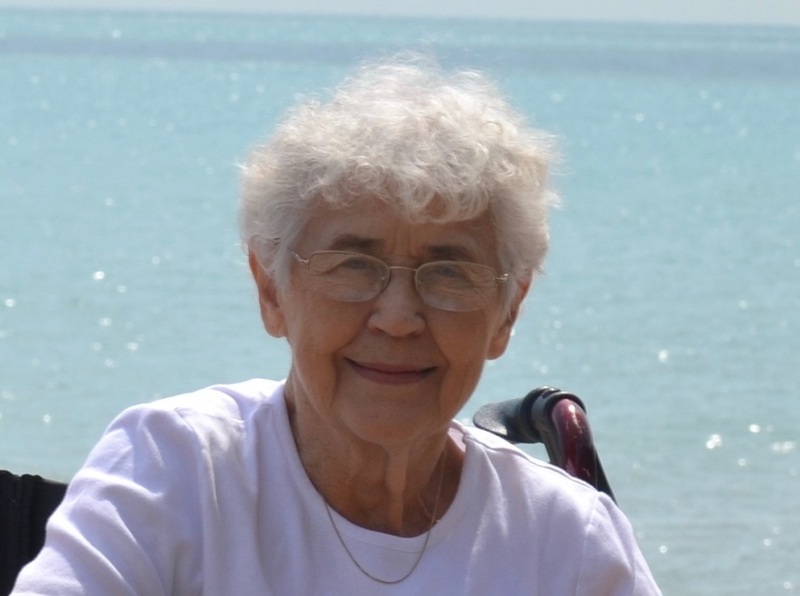 Lavonne (Bonny) Wicks, 86, of Champaign passed away peacefully with family Saturday, Aug. 18, 2018, at Clark Lindsey Village in Urbana. Born on Oct. 2, 1931, in Stanley, N.D., the daughter of Archie and Estelle Yineman, Bonny was raised in North Dakota and Montana. She received her bachelor’s degree from Jamestown College. Soon thereafter she married Eugene Wicks on June 21, 1953, and moved to Norfolk, Va., while Gene was in the U.S. Navy and Bonny taught elementary school. In 1960, Bonny and Gene moved to Champaign for Gene’s teaching position with the University of Illinois School of Art and Design. While raising their three sons, Bonny, a master weaver, exhibited and sold her unique work at venues across the Midwest. Later in life, Bonny worked for the Internal Revenue Service and taught adult reading in Champaign. Gene and Bonny were avid travelers and were fortunate to have the opportunity in 1994 to move to Ballyvaughan, Ireland, to help establish the Burren College of Art. In 1998, they returned to Champaign where they retired. After Gene’s death in 2005, Bonny moved to Clark-Lindsey where she became an energetic member of the community. She will always be remembered for her genuine interest and support of others, her sense of humor, curiosity, compassion for others and determination. Those most honored to share her life are her three sons, Chris (Diana Bergman) of Edmond, Okla., Louis (Kim) of Morton and Jim (Sue) of Lake Bluff; eight grandchildren, Jessica, Zachary (Brianna), Jordan, Robb (Cassy), Ryan (Haley), Rachel (Ravon), Kathryn and Allison; and four great-grandchildren. She was preceded in death by her parents, Archie and Estelle Yineman; her brother, Don; and her husband, Gene.